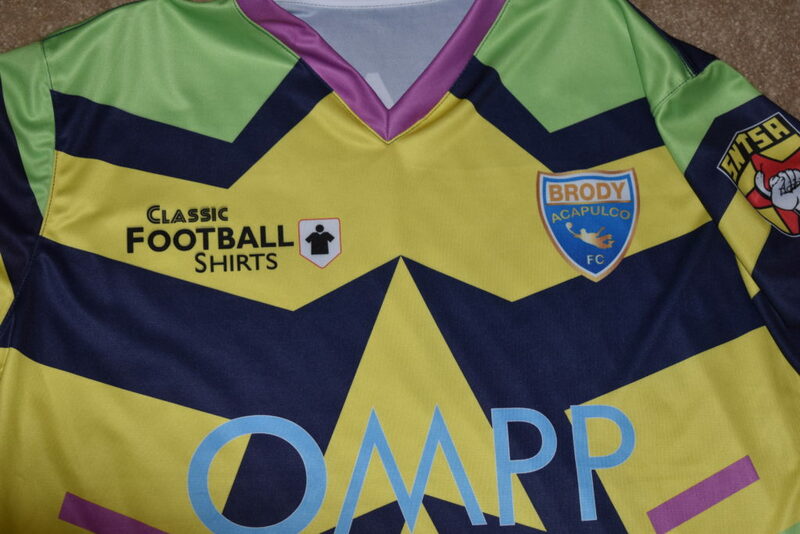 El Brody has always been known for his surfer inspired kits he wore in the 90s. This blog/twitter account takes its name from them and I finally have my hands on one of them. 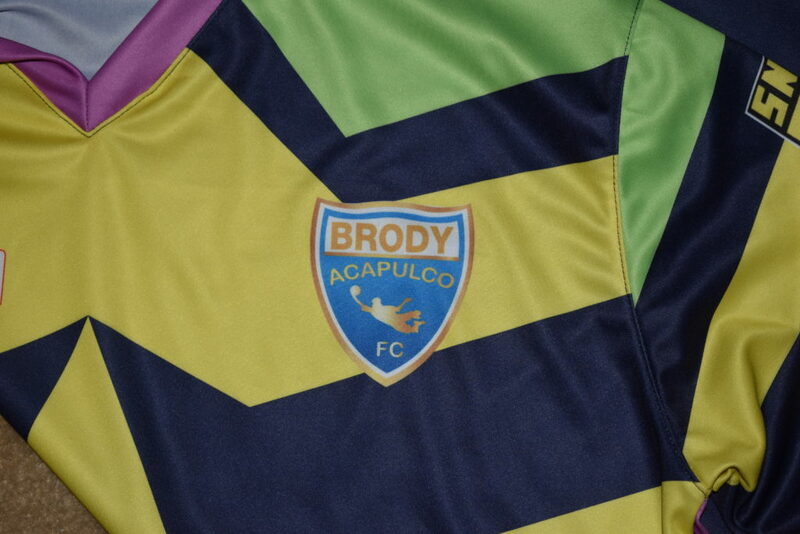 Acapulco FC keepers will be wearing the kit this season. They play in Liga TDP. Even though TDP stands for Tercera Division Profesional, the club is actually in Mexico’s fourth division. A portion of sales go to the World Organization for Peace. The name of the organization is across the front of the kit in a couple of different languages. The badge on the kit is slightly different than the badge for the club. The dolphin on the club badge is replaced with a silhouette of Campos making a save. 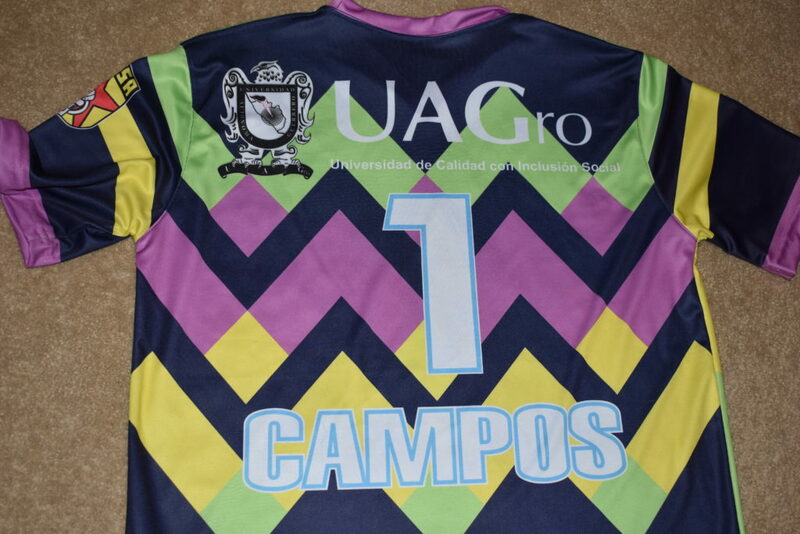 Overall, its a cool kit to have for Campos fans. Since he designed his own kits, major apparel companies never really produced them in quantities that people could buy. You’re stuck buying bootlegs and replicas on eBay or paying big money for a kit he owned himself. These are a good consolation prize and help a good cause at the same time. I do wish the quality of materials used on it were a little better since it runs about $50 before shipping. However, that’s still a far cry from the prices Adidas/Nike charge you. 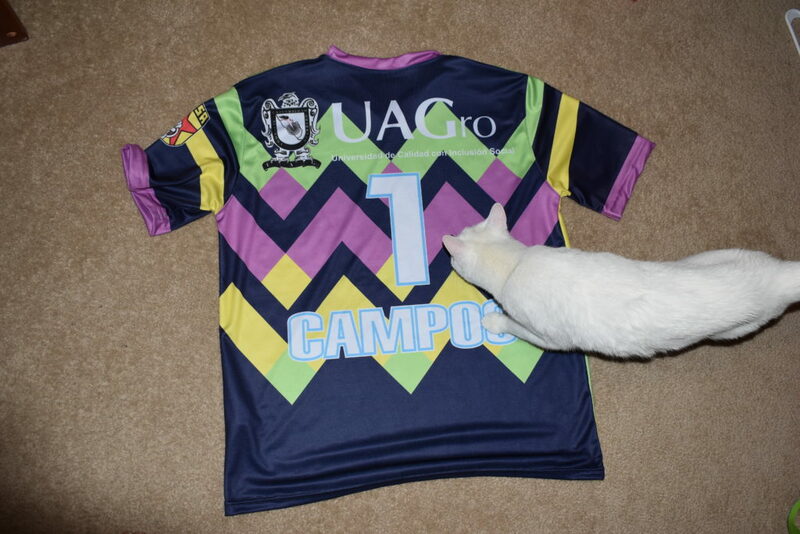 The site has other great kits including a different version of this kit. I order from it once or twice a year when it has sales. I’m glad I was able to add this to my kit collection.